It was wonderful to return to the Göttingen International Handel Festival in 2018. 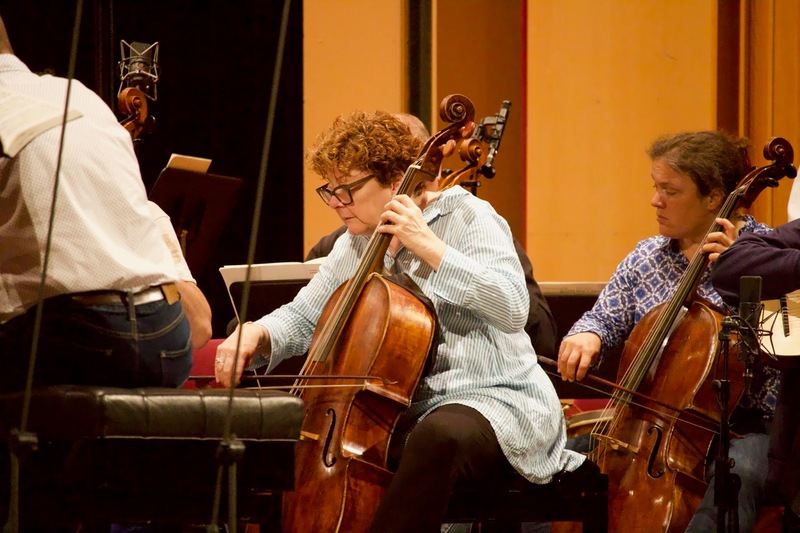 Performing in this festival is one of the musical highlights of my year. 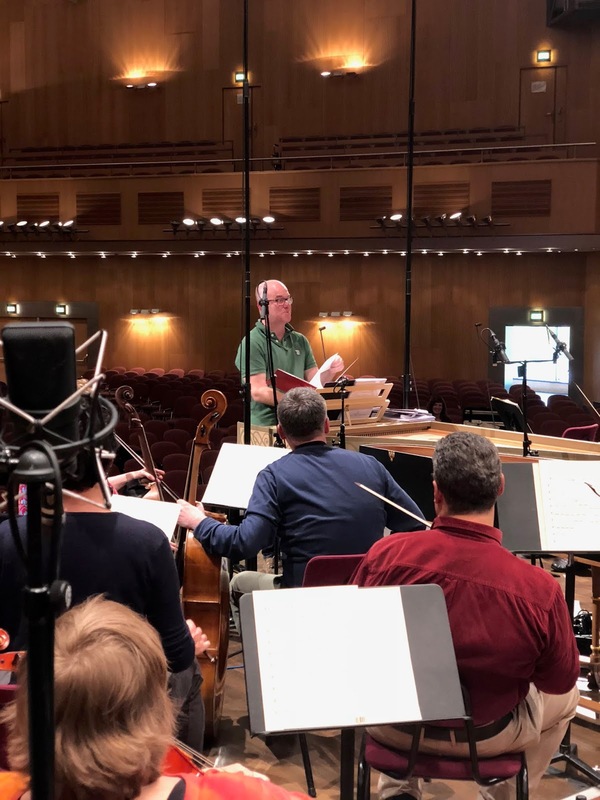 The director and players of the FestspielOrchester Göttingen (FOG) are infectiously-energetic musicians; performing in their element. Thriving on each others’ energy, these remarkable and characterful musicians creatively achieve incredible musical refinement within an atmosphere of ephemeral, euphoric reunion. The excellent festival, the charming people, and the beautiful rampart-encircled city itself makes Göttingen a fantastic place to be. 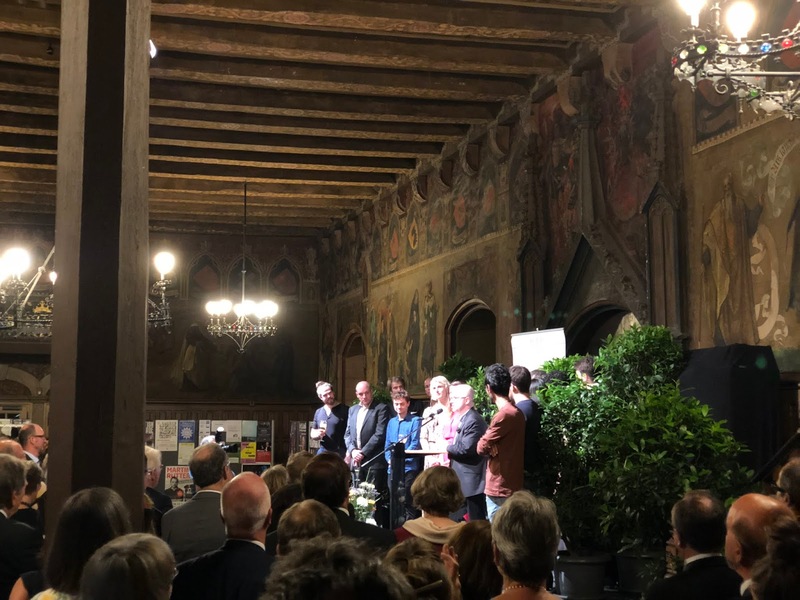 I enjoyed two weeks at the International Handel Festival, between Monday 7th of May 2018 and Monday 21st of May 2018. I’d never played Judas Maccabaeus before, so it was great to hear the work as a definitive whole. There was, of course, fantastic singing all round. 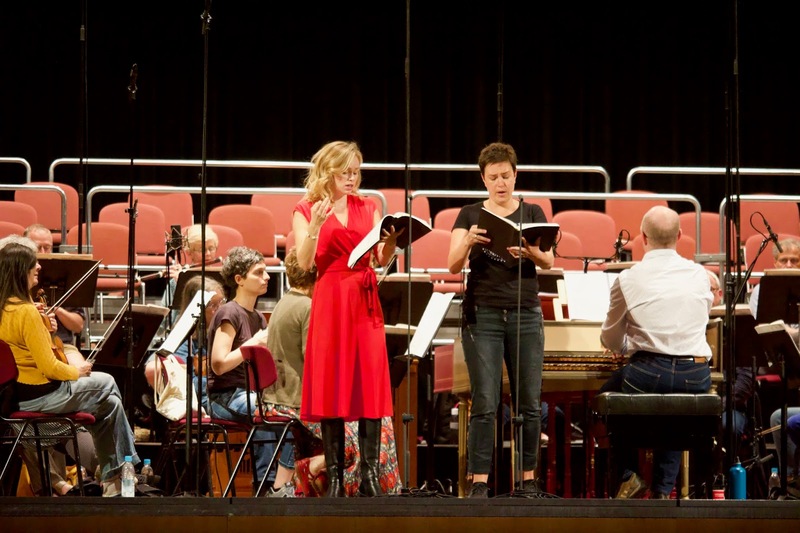 ‘O lovely peace’ featured stunning duet singing from Deanna Breiwick and Sophie Harmsen with breathtaking dialogue between the strings, led by Elizabeth Blumenstock (Leader), and transverse flute players Kate Clark and Brian Berryman. Our trumpet tutti entries began in Part Two with No.43 Sound an alarm! (…Your silver trumpets sound). Part Three featured three trumpets in No. 57 Sing Unto God and a solo trumpet obbligato (played by David Staff): ‘With honour let desert be crown’d’ (in A minor). Although I have known of it this aria for many years, I did not realise that it followed the words: ‘But pause awhile: due obsequies prepare to those who bravely fell in war. To Eleazar special tribute pay. Through slaughter’d elephant, and, ‘whelmed beneath the stabbed monster, triumph’d in a glorious death.’ The tutti trumpet involvement continued in the finale: No.64 Rejoice, O Judah, Hallelujah, Amen. I mentioned that it was great to hear this work as a definitive whole; though to many Judas Maccabaeus is incomplete without the addition of ‘See the conqu’ring hero’. Sandra Bowdler (Bachtrack) wrote: “The version chosen for performance was the original 1747 version. This was written without its most recognised element, the chorus “See the conqu’ring hero comes”, which Handel wrote for Joshua later the same year; four years later he recognised its aptitude for Judas and included it, but this performance did not.”… to conclude her article, she wrote: “The reception was close to ecstatic. Cummings left the stage and returned a couple of times, the second time announcing that there would be an encore – “See the conqu’ring hero” – so no-one would go home disappointed. 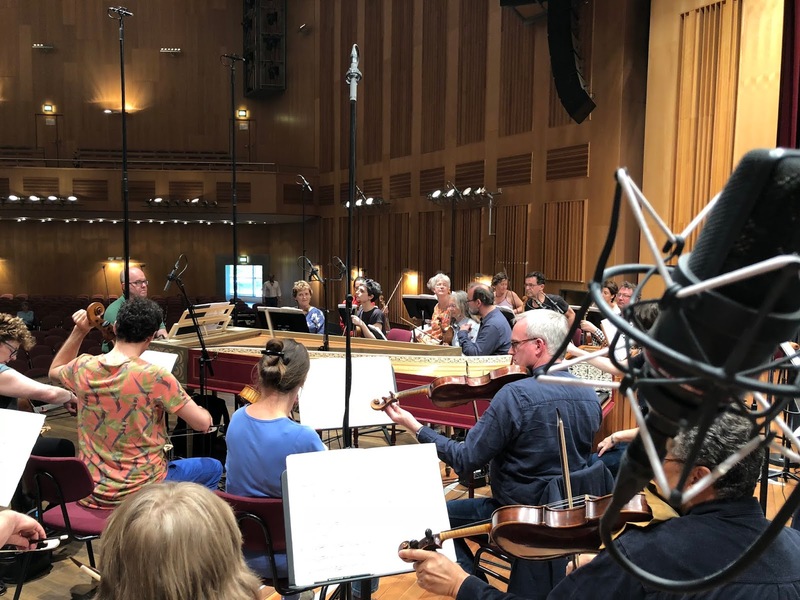 “ The so far omitted chorus was played as an encore and it featured excellent horn playing from Pierre-Antoine Tremblay and Gijs Laceulle and spirited singing from the NDR Choir (David Cavelius, Chorus Master). After the oratorio I had a few free days in Göttingen, as there were no trumpets in the opera: Arminio. I decided to go to the opera performance (thanks to Sophie Junker for the last-minute ticket) and pre-concert talk given by Dr. Amanda Babington (an old friend who I met while I was studying in Manchester) - she gave an excellent talk about Arminio. I normally hear Handel operas from backstage while waiting to perform the trumpet numbers. On this occasion it was great to be able to enjoy the full opera from inside the auditorium without having to worry about when I should play. I was initially a little daunted by sitting for the duration of such a long opera - but it turned out to be all very manageable and enjoyable. Arminio has so many fantastic arias that I found that my concentration was unwavering - I couldn’t believe it was already the end of Act 1 by the time it came - a sure sign that I had been enjoying it - and likewise Act 2 & Act 3. There were many wonderful moments, but a highlight and favourite was the duet ‘Quella fiamma, ch’il petto m’accende’ between Sophie Junker (Sigismondo) and Susanna Regel (Oboe) who were both incredible. After the opera premiere, I joined the other musicians from the FOG and attended the reception at the Altes Rathaus (old town hall), next to the iconic Gänseliesel fountain in Göttingen’s market square. It was a fantastic event and it really felt like the festival was in full swing. David Staff and I had come to Göttingen from the UK by car and the Dover-Dunkirk ferry. Travelling in this way enabled me to bring my Brompton (folding bicycle) so I could explore Göttingen and the surrounding area by bicycle. 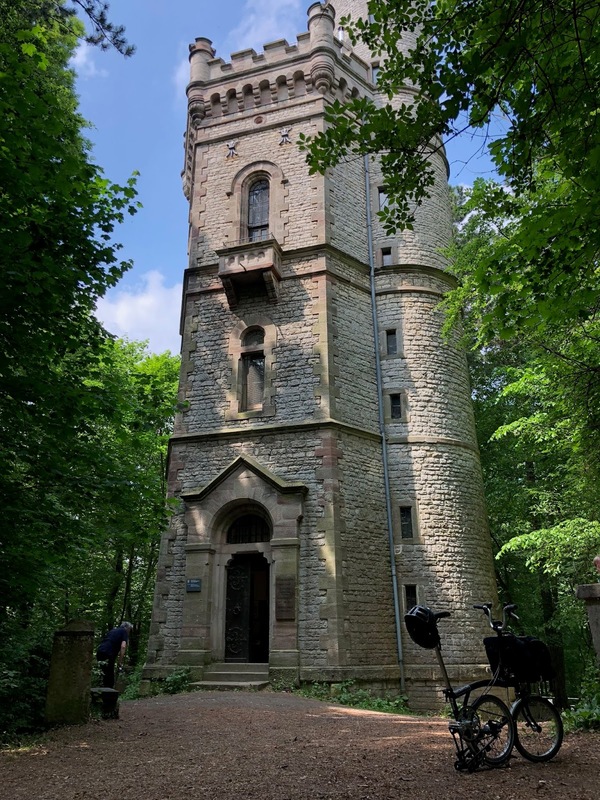 I cycled to Göttingen’s Bismarckturm, situated on the Kleperberg (332 meters above sea level) in the Stadtwald, to the South-West of the centre - c.5km away and c.180m higher up than the city centre of Göttingen (which seems more significant when travelling by bicycle). This part of Göttingen turned out to be a wonderful area for nature and the FOG birdwatchers (namely Lisa & Staffy). 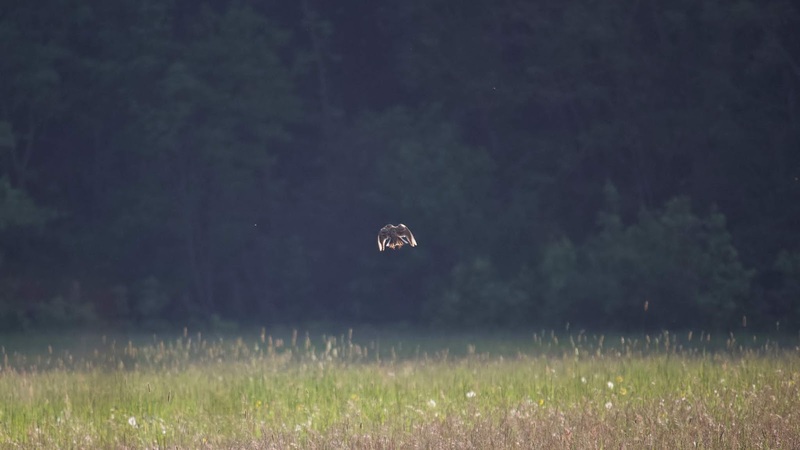 I went out very early one morning with them, taking photographs in the Stadtwald - a great time of day to be out. 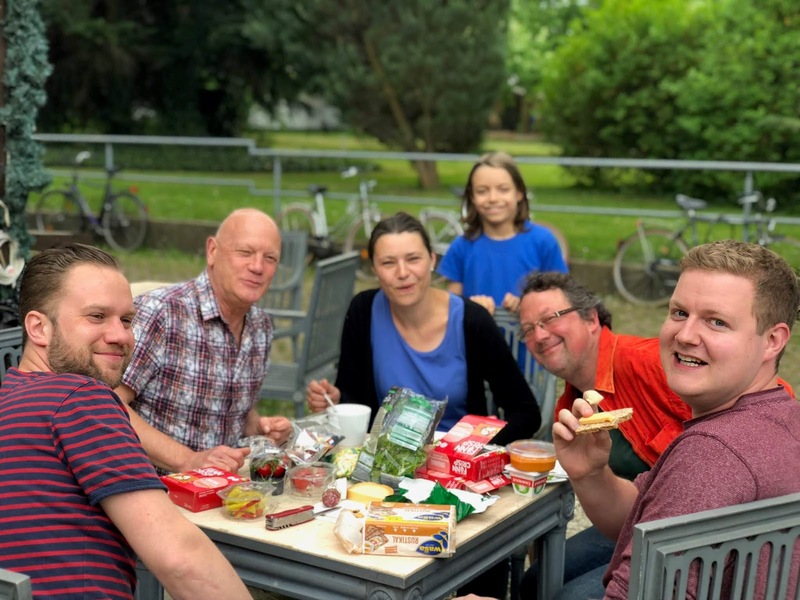 One evening we were invited to a barbecue party with a friend (Anton and his family) of the orchestra who plays for the Göttingen Symphony Orchestra. He is also a professional photographer. Last year we called upon Anton to photograph a newly finished, beautifully made Ehe natural trumpet (made by David Staff and engraved by me). 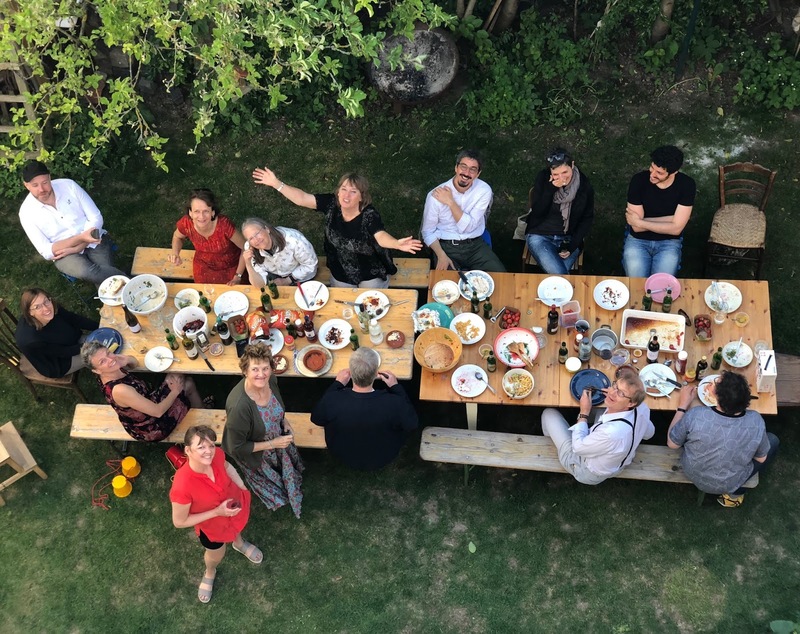 Anton and his family welcomed the FOG to a great grill party in his garden and on his roof terrace. It was a great evening. The following day, we visited the home of one of FOG’s flautists (Brian Berryman) for a pizza party. Brian cooked us excellent pizzas in his self-built outdoor pizza oven. 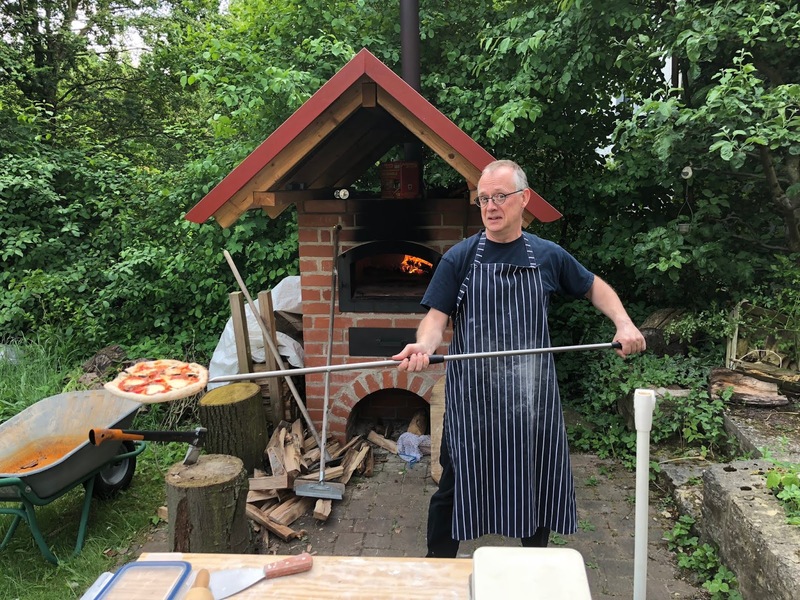 It was an incredibly sociable way to cook and eat together and the pizzas were truly excellent. While in Braunschweig we also visited Kapai Kaffeehaus, Brian’s favourite local coffee shop, run by a young couple from New Zealand: Brad and his wife. Brad is a trumpet player and had played in the UK Marines band. Incredibly he knew someone that I had been to primary school with on the Isle of Man! After this, David Staff and I visited the Städtisches Museum Braunschweig. I had initially enquired about seeing a trumpet made by Cornelius Steinmetz (son of the instrument maker, Georg Friderich Steinmetz about whom I had written an article). The Cornelius Steinmetz trumpet was not on display, but there were two instruments of great interest there by Johann Leonhard Ehe II (1664 - 1724). David and I play on copies of an instrument by Johann Leonhard Ehe III (1746). 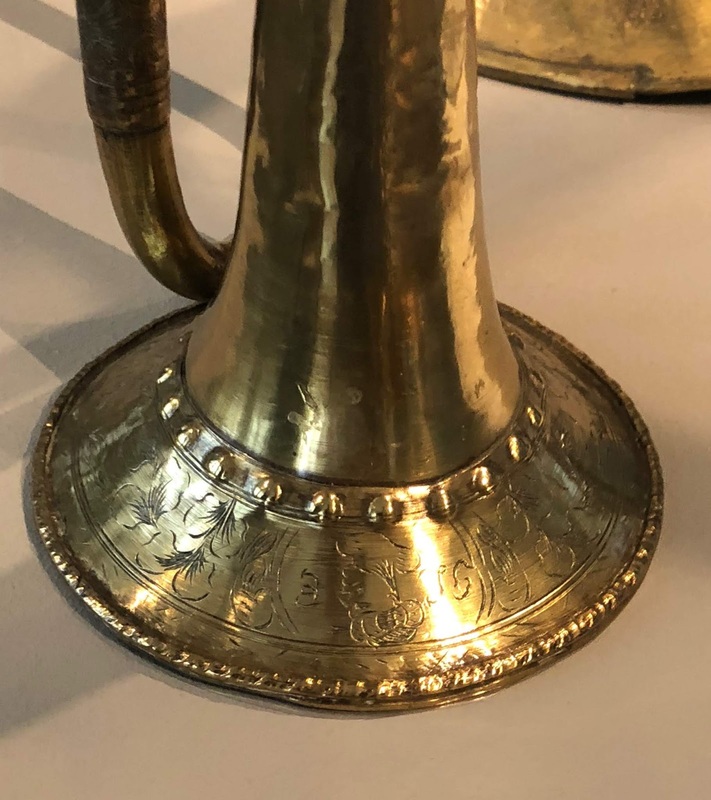 The collection also had, on display between the two Ehe II trumpets, a horn by Michael Leichamschneider (1676 - c.1709). One of the Ehe II trumpets had a custom engraving on the pommel (“St. Ulrich”) and it had been transferred to the museum from the Brüdernkirche in 1866. The Leichamschneider horn and the other Ehe II trumpet had previously belonged to the Theodor Steinweg Collection. According to the knowledgeable museum attendant, Theodor Steinweg (the eldest son of Heinrich Engelhard Steinweg (anglicised to Henry Engelhard Steinway) - the founder of the piano manufacturers Steinway & Sons) had a great interest in musical acoustics and had acquired various instruments. The family moved to New York in 1850 and Theodore returned to Braunschweig in 1880, and bequeathed his collection of musical instruments to the Städtisches Museum Braunschweig. After this inspiring museum-visit, David Staff and I walked back to the centre of Braunschweig and explored a fantastic tool shop on the way. It had every kind of precision drill bit in every conceivable size which is incredibly rare. An incredible shop. 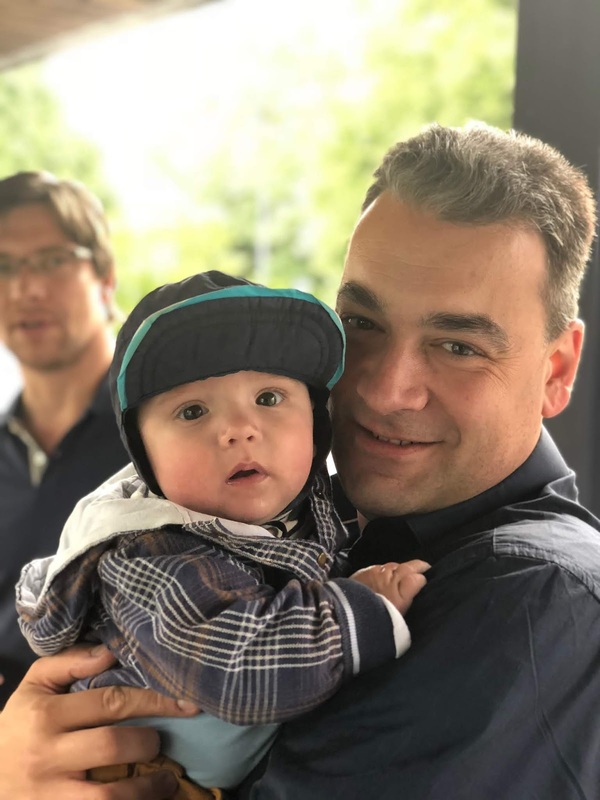 David Staff and I had (in 2012, I estimate) actually spent a few days in Braunschweig, rehearsing and performing Monteverdi’s Vespers in the cathedral there, however we did more and saw more of the city in this brief visit than we had done on that entire trip! 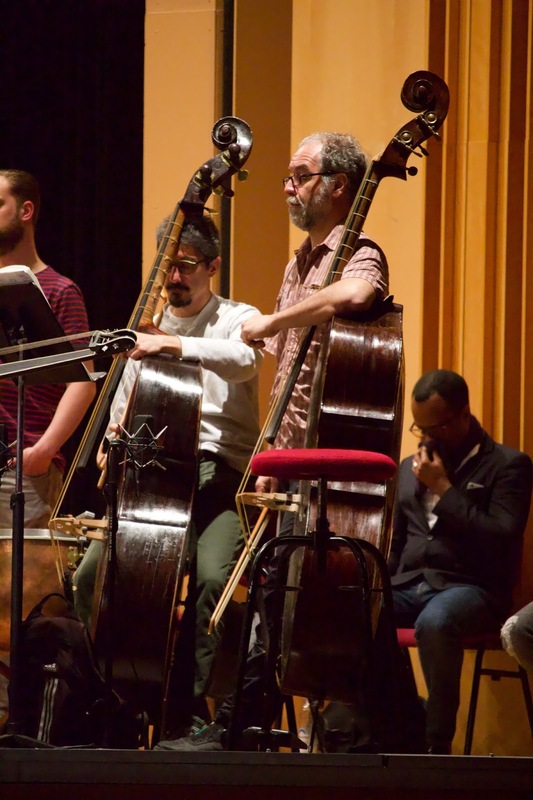 Aside from the formal music-making, there are three things that makes the FOG so special: the first, and undoubtedly the most important are the remarkable people in the orchestra, it’s an orchestra of brilliant characters. The next thing to mention are the remarkable social events that the FOG either hosts or is invited to. 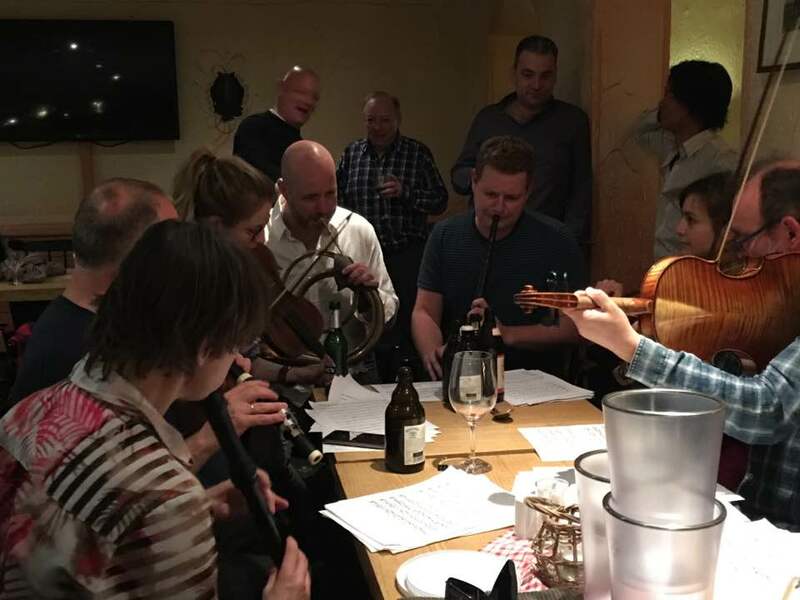 The different nationalities of the people in the orchestra (American, Australian, Austrian, Canadian, Chilean, Czech, Dutch, English, German, Italian, Manx, Polish, Russian and Scottish), often with cuisines to match, makes the gatherings something of a cultural celebration. After a mid-festival break for the trumpet section we began rehearsing again on Thursday 17th May 2018. We were rehearsing for the remaining performances: the Gala Concert and the NDR Choir’s Concert. 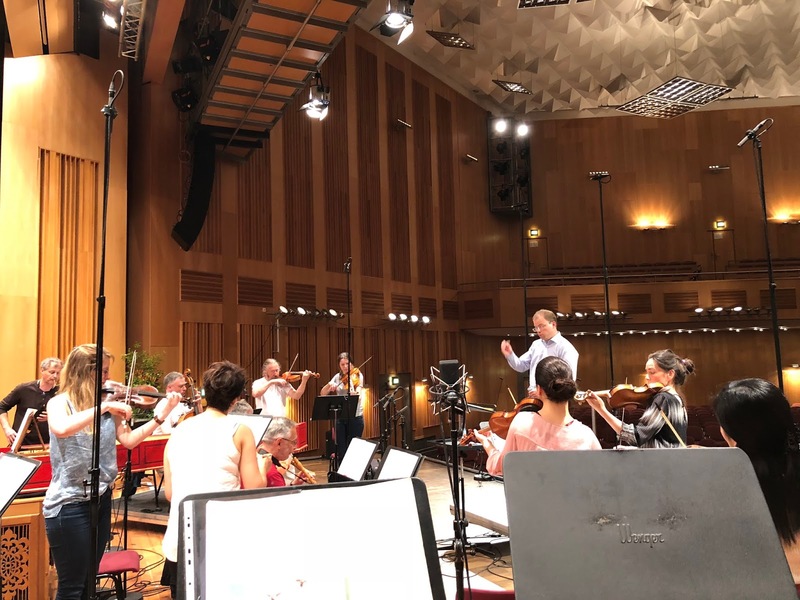 The Galakonzert rehearsals took place in the warm rehearsal studio of the Göttingen Symphony Orchestra and the trumpets and timpani arrived for the first time at the same time as the Christ Church Cathedral Choir from Oxford. The boys and men of this choir were staggeringly good and the discipline and amazing decorum from the boys was inspiring. Their concentration in the rehearsals was incredible and the quality of the singing was outstanding. It is so rare to hear Handel performed by a boys choir, and it put shivers down my spine. The Director of Music of the Christ Church Cathedral Choir, Stephen Darlington (and his colleagues) had done a fantastic job in preparing these young singers for this performance. The Musical Director of the FOG, Laurence Cummings, sang in this choir under Stephen Darlington when he was a schoolboy at Oxford. Laurence had invited the choir to perform in Göttingen before Stephen Darlington retires (soon, as I understand). The FOG loved performing this all-Handel programme with this enthusiastic and brilliant young choir. We performed The Choice of Hercules (HWV 69) and Dettingen Te Deum (HWV 283) in the Galakonzert on Saturday 19th May 2018 at 19:00 in the Stadthalle Göttingen. The final rehearsal was interrupted at 13:00 (12:00 BST) by Laurence Cummings with a shout of: ‘Three cheers for the marriage of the Duke and Duchess of Sussex!’ with enthusiastic hurrahs returned by the members of the orchestra and choir. The soloists in The Choice of Hercules were excellent and it was wonderful to follow the dramatic contemplation of the virtuous Hercules throughout this work. Rupprecht Drees played first trumpet and I played second trumpet in the first piece: The Choice of Hercules. David Staff (1st), myself (2nd) and Rupprecht (3rd) played as a section for the Dettingen Te Deum, with Rob van der Sterren on timpani. A great section to play in. It was a great feeling to play this wonderful piece from the middle of such an excellent section, with all of the players ‘firing on all cylinders’. As Staffy remarked: “It’s incredible that having three brilliant first trumpet players in one section makes such a good section, but it really does!”. The Dettingen Te Deum was incredible in its entirety, there were also many notable individual moments. Cody Quattlebaum (Bass) sang an excellent aria in Thou art the King of Glory with the trumpet obbligato part played excellently by David Staff. The three male singers from the choir who sang the trio of We believe that thou shalt come to be our Judge were impeccable. I really enjoyed playing the trumpet duet immediately afterwards (David Staff and Russell Gilmour) playing the fanfare, with the recognisable fanfare of judgement from British courtrooms and also used in Handel’s setting of The Trumpet Shall Sound. The last movement, O Lord, in thee have I trusted is always a pleasure to play and the music manages to be both calming and rousing. It was an amazing performance overall. The programme began with Handel’s Concerto No.5 in D Minor (HWV 316) and the Ode for the Birthday of Queen Anne (HWV 74): the trumpet and tenor opening with Eternal Source of Light Divine - expertly played by David Staff (trumpet). After an interval we performed Handel’s Utrecht Jubilate (HWV 279) and a piece called: Anthem Composed on the Occasion of the Peace, also known: as How Beautiful Are the Feet of Them (HWV 266), edited by Donald Burrows. Thanks to all for a fantastic Göttingen International Handel Festival 2018.